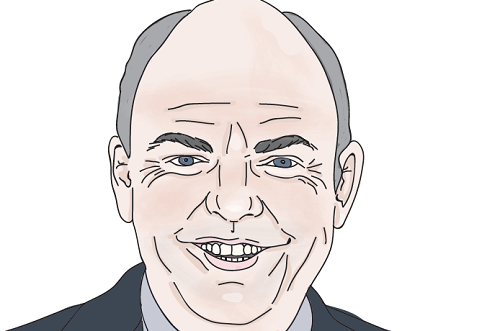 Finance Minister Steven Joyce wants the Reserve Bank to conduct a full "cost benefit analysis" on its plan for debt-to-income ratios (DTIs) as well as public consultation before he will consider use of DTIs. The RBNZ has indicated that public consultation will commence in March and occur during the first half of 2017. This new move announced by the Minister would appear to torpedo any chance the RBNZ might have had of adding DTIs to its 'macro-prudential toolkit ' before the September 23 election. It will be a blow to the RBNZ, which has enthusiastically championed DTIs, even though it has pledged it would not use them at the moment . The original macro-prudential toolkit was signed off by then Finance Minister Bill English in a Memorandum of Understanding with Reserve Bank Governor Graeme Wheeler in 2013. Addition of any new macro-prudential tools will also require the sign-off of the Finance Minister. Since late last year the Government has appeared to be pushing back  against the RBNZ's plans for DTIs. The new move by Joyce now affirms this resistance. “The Bank has a number of regulatory tools available to it to address systemic risks it identifies and I am cautious about adding further tools," Joyce said. “The use of macro-prudential tools can be complex and affect different borrowers in different ways. I am particularly interested in what the impacts could be on first home buyers. Joyce did admit that the RBNZ did not go through the same analysis process before its loan-to-value ratio 'speed limits' policy was introduced in 2013, when English was Finance Minister. "It (LVRs) was done in a slightly different way, but I'm the finance guy now," Joyce told Parliament's Finance and Expenditure Select Committee. A different set of circumstances existed when LVR restrictions were imposed, he told media afterwards. Labour Party finance spokesperson Grant Robertson said DTI ratios were used internationally already. He asked Joyce to label concerns he had about giving the RBNZ the ability to use the tool. The Reserve Bank has already done some work on the subject, finding higher DTI ratios in among Auckland house buyers and property investors, Joyce said. The Finance Minister defended himself when asked if he had just kicked DTIs into touch, saying the issue could still well come up during the election year. "They’re [the RBNZ] not saying this is analysis they wouldn’t do, they’re just wanting me to give them permission to put it in the tool kit before they do the work," he said. "I’m saying no, you do the work then ask permission." Update adds extra Joyce quotes.